Welcome to our Resource Library! Here you will find reports, how-to guides, links to websites, and more! To search for a specific resource, try pressing the CONTROL key and the F key at the same time on your keyboard and use the search field to type in key words that you’d like to find. Can’t find what you’re looking for? 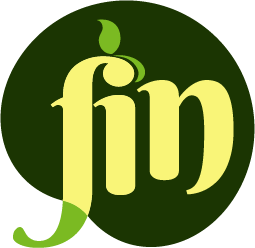 E-mail us at finlouisville@gmail.com and we’ll be happy to help! Know of a useful resource or report that’s not listed? Let us know by e-mailing finlouisville@gmail.com! From how to get started, what to add, why to compost, and how to troubleshoot compost symptoms, this brochure will answer many of your composting questions. An introduction to composting and a list of useful links to learn more. Great for people incorporating compost systems at home or in the garden. This link is for testing nutrient content in your soil- NOT for lead testing. For lead testing call (502) 569-2344. Developed annually by the University of Kentucky Cooperative Extension Service. Published by the University of Kentucky College of Agriculture Cooperative Extension Service. The Jefferson County Master Gardener Association has a great collection of resources for gardening, landscaping, and fruit production available to the public, as well as information on upcoming Master Gardener classes. Garden Safe Garden Well: An Urban Gardening Guide is an accessible primer on soil testing, including a myth-busting section, and it covers basic techniques for urban gardening. A handy feature of this guide is the ability for anyone to add local urban agriculture organizations and resources on the last page by typing into the PDF and saving, thereby customizing it to your community, town or city. Links to more in-depth instruction and resources are also included on the last page. The Jefferson County Soil and Water Conservation District provides conservation resources to all residents of Jefferson County, Kentucky. Programs include: Technical Assistance, Financial Incentives, & Urban Agriculture Education. Kentucky Pollinator Handbook: A field office technical guide reference for the management of pollinators and their habitats. Idlewild houses a number of insects, arachnids and other arthropods, including tropical species that cannot be found anywhere else in the state. They let guests hold and interact closely with many of these amazing creatures as part of a guided tour through their rearing lab, insectarium and live butterfly flight house. 5 facts about raising chickens in Louisville: Before you start counting your backyard chickens before they hatch, here’s a look at what you need to know. ATTRA, A National Sustainable Agriculture Assistance Program, is a great resource for finding information on organic and sustainable practices. Lots of Food was started at the end of 2013 to demonstrate the value and viability of transforming a vacant lot into a thriving orchard and market garden. There are hundreds of similar vacant lots in Louisville and other cities and other folks like Amanda who are doing similar projects to improve food security and restore some vitality to neighborhoods. What Lots of Food is doing is well within reach! Take a look at their resource library for more information. Use this map as a guide to discover local food resources in your community. Click on a point to find out more information about each garden and how to get involved. Community Gardens in Louisville: A Start Up Guide, developed by the Louisville Metro Department of Economic Growth and Innovation. This resource walks you through many important steps to take when starting a community garden. It’s always a great time to get your community together and plan for a garden! If you’re starting a garden from scratch or want to better organize an existing garden, the Community Garden Toolkit will help you get growing. The University of Kentucky Cooperative Extension Service manages many community gardens around Louisville. This popular program provides access to plots that range in size, depending on the garden. Plots are rented by the year, with the option to renew your plot rental each year. At most gardens, water and small equipment, like tillers, are provided at no additional cost. Common Earth Gardens is dedicated to improving the quality of life of refugee families and Louisville communities through agricultural opportunities. They support the creation of new gardens and farms, connect new Americans to land at community gardens and community farms in Louisville, and run an incubator farm program for people to learn how to run their own farm business. The goal of Grow Pittsburgh’s Community Garden Guide is to help neighborhoods like yours create sustainable community food gardens that will be enjoyed for generations to come. Here you will find steps to take with your community to develop a vision, organize your group, build community partnerships, find land, and more! Looking for some talking points and statistics to start or sustain a community garden in your neighborhood? Take a look at this resource for information about benefits like crime prevention, mental health, exercise, municipal benefits, food production, youth education, and others! Visit the Louisville Land Development Code for ordinances regarding community gardens and market gardens. 4.3.17 Community Gardens: Scroll down to Chapter 4, Part 3, Section 17. Check your zoning using the LOJIC map and then refer to the Land Development Code to see what’s allowed in your zone. We are all stronger when we work together. When farmers and attorneys share knowledge, the entire local food system moves forward. Farm Commons fosters the discussions and connections that build a strong legal backbone for our community and provides resources and services. Community Farm Alliance (CFA) works to organize and encourage cooperation among rural and urban citizens through leadership development and grassroots democratic processes to ensure an essential, prosperous place for family-scale agriculture in our economies and communities. The Organic Association of Kentucky (OAK) is a non-profit, membership-based organization dedicated to improving the health of the environment and the citizens of Kentucky. OAK provides resources and educates Kentucky farmers and consumers who are interested in driving change for a more sustainable and organic food system. small farmers, beginning farmers and agricultural professionals. Third Thursdays are hosted by Kentucky State University and cover a different topic each month. Workshops generally take place from 10am-3pm in Frankfort, KY.
Southern SAWG’s mission is to empower and inspire farmers, individuals, and communities in the South to create an agricultural system that is ecologically sound, economically viable, socially just, and humane. Because sustainable solutions depend on the involvement of the entire community, Southern SAWG is committed to including all persons in the South without bias. We know that food and farming activists make an impact when they are able to impress upon policy-makers the importance of sustainable farming and community food systems. This guide provides questions you can ask candidates for elected office to understand their positions on the policies that impact farms and food systems. Questions for Candidates aims to get candidates and their communities thinking about farming, food security, urban agriculture, the environment and food. To learn more about the 2018 Farm Bill and how you can take action, watch this great 4-minute video from National Sustainable Agriculture Coalition. The Louisville Local Food Demand Analysis is a comprehensive, qualitative and quantitative analysis of demand for local food in Louisville Metro/Jefferson County, Kentucky. The findings will be used to support efforts by Mayor Greg Fischer and others to create linkages between urban consumers and rural producers as a long-term, regional, integrated economic development strategy. The Hunger Innovation Fellowship is a collaboration of the Lift a Life Foundation and the Community Foundation of Louisville providing social, intellectual and financial capital for an individual to research opportunities for systems-level change within Louisville’s food ecosystem. Identified opportunities will have the potential to significantly accelerate and elevate the collective efforts of local organizations and their partners. Solutions may even inspire change for communities facing similar challenges. Your one-stop resource for hours, locations, and additional information for farmers markets, Fresh Stop Markets, and Healthy in a Hurry Corner Stores! Developed by the Louisville Farmers Market Association and the Louisville Metro Department of Public Health and Wellness. Many seniors are eligible to receive $28 in checks per season to purchase fresh, unprocessed, locally grown fruits, vegetables, herbs, and honey at farmers markets! Learn how to sign up for the Senior Farmers Market Nutrition Program (SFMNP) and where you can use your SFMNP checks! The vision of the Louisville Community Grocery is to combine the best features of a value-oriented grocer and a modern consumer food cooperative offering everything available at a large grocer. This will be a place where everyone feels welcome, owner and non-owner alike. The success of this business will be driven by the ideas and input of ALL customers and workers. Get involved to share what you want out of a cooperatively owned grocery store in Louisville! Visit the Food In Neighborhoods calendar page and click the top right arrow if you would like to view Food in Neighborhoods events, 2018 Farmers Markets, or Holidays in the United States. Fresh Stop Markets—New Roots’ main initiative—are run by volunteer leaders in a grassroots food justice movement that operates from the belief that fresh food is a basic human right. Connect with a Fresh Stop Market near you and sign up for a share of ten varieties of seasonal, local, organic produce you’ll pick up during the scheduled two hour “pop-up” you choose, at your choice of 17 different Kentucky and southern Indiana Markets. Each FSM pops up biweekly in the same location for the 22-week growing season, from June through November. Dare to Care Food Bank leads our community to feed the hungry and conquer the cycle of need. They fulfill this mission through innovative programs, efficient operations and by partnering with local food pantries, shelters and kitchens to get food to people in need. Check out the map to find food near you! Is Local Food Affordable for Ordinary Folks? A Comparison of Farmers Markets and Supermarkets in Nineteen Communities in the Southeast. In regards to some criticisms of farmers’ markets as being “elitist,” in 2011, SCALE, Inc. conducted a study of twenty-four farmers’ markets throughout six states in Appalachia and the Southeastern United States. The findings showed that farmers’ markets closely compete with mainstream supermarkets, and this was demonstrated in their slightly lower prices comparative to that of the supermarkets. The majority of produce was less expensive at farmers’ markets than at mainstream supermarkets. The rhetorical construction of farmers in the local food movement. This thesis is composed of two parts. First, the author deconstructs images and ideas regarding farmers, farming, and food movements in works by authors such as Michael Pollan and Wendell Berry. Second, the author examines the rhetoric used at a farmers’ market and two farm-to-table restaurants in Louisville. Harrison focuses on The Omnivore’s Dilemma, The Memory of Old Jack, Fast Food Nation, and other books in her analysis of the imagery and identity of the farmer in food movements. She expands upon the theory by demonstrating how farmers are represented in the language, space, and physical objects found at these three locations. This study provided insight into the local food system in Owensboro, Kentucky. Though this study was specific to Owensboro, the author does a great job of outlining how to understand and analyze a community food system. Hayden makes reference to several other cities in Kentucky, including Louisville, which she feels are leading the state in terms of the local food movement. The author provides a questionnaire used to survey participants at local farmers’ markets and other local food distribution sites. The questionnaire allows readers to understand exactly how Hayden learned about the specifics of the Owensboro local food movement. Hayden not only discusses how to strengthen the local food movement in a given community, but also acknowledges the challenges involved with promoting this social and food movement.